Dom learned that protecting V didn't mean keeping secrets from her in order to protect her. As the new Boss, he had to learn this lesson quickly, otherwise he could jeopardize everything he held dear. V had to learn how to act like a damn grown woman. She still had some growing up to do and needed to learn about better ways to cope with not getting her way, especially with baby DiBenedetto on the way. Dom had to juggle the mafia, his company, and his family. Not an easy feat. He had to make some hard choices but he chose right in the end. He and V ended this book in a really good place. Theresa and Carmine still had their little side story, which was pretty interesting. And freaking hot. 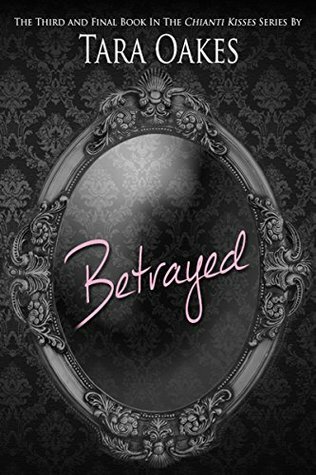 Sign into Goodreads to see if any of your friends have read Betrayed. ♫♫♫ ♥♥♥ Candy ♪ Loves♪ Music ┼ Books ♫♫♫ ♥♥♥ wrote: "Excellent review sweetheart♥ ..... (¯`v´¯)♥"
Michelle wrote: "Great to the point writing! :)"
Jessica's wrote: "Awesome review hun :)"